Jay A. Gershen, D.D.S., Ph.D., became the sixth president of the Northeast Ohio Medical University in January 2010. Before coming to Northeast Ohio, Dr. Gershen most recently served as vice chancellor for external affairs at the University of Colorado Denver and as a faculty member in the University of Colorado Denver School of Dental Medicine. While at the University of Colorado, he was instrumental in creating the University’s 21st Century Health Sciences Center at the former Fitzsimmons Medical Army Garrison, the largest medical construction project in the nation. 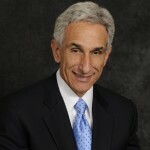 Dr. Gershen also served as interim vice president for academic affairs and research for the University of Colorado System and executive vice chancellor at the University of Colorado Health Sciences Center. He also served as acting dean of the University of California, Los Angeles Dental School and was the first dental dean in the nation to gain graduate medical education support funds for all non‐hospital based postdoctoral programs in the school. While at UCLA, he also served as chair of the section of Public Health Dentistry and director of the Mobile Dental Clinic. Dr. Gershen holds a B.A. in psychology from the State University of New York at Buffalo and a D.D.S. from the University of Maryland. He completed both a clinical specialty in pediatric dentistry and a Ph.D. in education at the University of California, Los Angeles. Concurrently, he was a postdoctoral scholar in child psychiatry at the UCLA Neuropsychiatric Institute. In 1982 he was awarded a Robert Wood Johnson Health Policy Fellowship, sponsored by the Institute of Medicine of the National Academy of Sciences. Dr. Gershen currently serves on many national, state and local boards including the board of Research!America and the Sullivan Alliance to Transform America’s Health Professions. He continues to take steps to move NEOMED forward in its education, research, and community service missions to become the premier community‐based interprofessional health sciences university in the United States.